Today on The Chat, we continue our special interview series with this year’s English-language Governor General’s award winners. 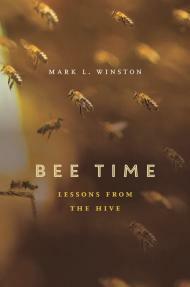 I’m pleased to speak to Mark L. Winston, winner of the 2015 Governor General’s Award for Non-Fiction for his book Bee Time: Lessons from the Hive, published by Harvard University Press. Recognized as one of the world’s leading expert on bees and pollination, Mark L. Winston has had an illustrious career researching, teaching, writing and commenting on bees and agriculture, environmental issues and science policy. A widely respected educator, he directed Simon Fraser University’s Centre for Dialogue for 12 years and has shared his expertise in columns in the Vancouver Sun, New York Times, The Sciences, Orion, and in radio and TV for the CBC and the U.S. National Public Radio. He’s the author of six books on subjects related to bees. 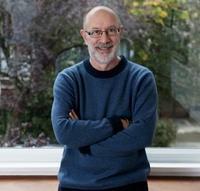 What was your first reaction to finding out you’d won this year’s Governor General’s Award for Non-Fiction? Flustered and speechless. I immediately called my wife, but whatever I said when she answered was so garbled and sounded so disturbed that she thought someone had died. It took a few minutes to find my words and share the good news. If you had a choice of one myth you would like to dispel about bees—or one marvel you’d like to share—what would it be? The phrase “busy as a bee” has done considerable damage to our society. We use that concept as a talisman to inspire us to work much harder than is good for us. Bees aren’t actually that busy, but spend the majority of their time resting and relaxing, only doing as much work as is needed to keep the colony thriving. A better truism to apply to human life would be “relaxed as a bee,” to remind us that perhaps overworking isn’t such a great model. Thinking of humans and where we’re at in our social/historical arc, what can we learn from bees—and how they go about their own lives—in order to improve our own plight? Honeybees are models of communication and collaboration, listening to each other without judgment and then making decisions together about what needs to be done for the good of the hive. I’d like to see Parliament adopt a “hive for a day” program, where question period would mimic the collegial interactions of a bee hive, putting the good of the community before the interests of any individual or party. I removed the lid of the first hive. The bees were surprisingly calm, gentle, going about their business. There was no onslaught. My fear dissipated, and I began to pay attention to the activity in the hive. The gloves came off, then the veil. I pulled out the frames one by one to inspect the combs. It was one of those moments in life when everything shifts. It's a full body experience being among the bees. First you hear the sound, the low hum of tens of thousands of female workers flying in and out of their hives, each circling the apiary to get her bearings and then heading off purposefully in a literal beeline toward blooming flowers. I loved this passage. It’s so evocative and captures so much sensual detail. What was going on for you when you wrote it? It’s one of my favorites also, written a couple of years before starting the bulk of “Bee Time’s” writing. I had been away from bees for a number of years, directing my university’s Centre for Dialogue, and I missed the bees. Memories of walking into apiaries kept bubbling up. I did what most writers do with persistent memories: get up one morning and start writing. I set it aside for a while, but eventually my attempt to capture those apiary moments grew into a book. What's your own litmus test for good non-fiction? Are there particular writers or works that have influenced your own development as a writer? I appreciate some of the same things in non-fiction as I do in fiction: it’s got to tell a story, and should move us emotionally in the same ways that fiction does. Good non-fiction should also go beyond information to weave together fact and opinion in a way that inspires readers to think more deeply about how we want to engage with the world around us. My own writing, and thinking, has been influenced most directly by those who write eloquently about environmental issues; Andrew Nikiforuk, Bill McKibben, Elizabeth Kolbert, and Jon Mooallem come to mind. For its clear and concise treatment of these crucial issues, Bee Time deserves close attention from both professionals and a lay audience. But this is hardly the end of Winston’s story. Ironically, just when honey bees are experiencing the impact of CCD, human knowledge of their distinctive social attributes is deepening in remarkable ways. Winston does a great service by making these findings accessible to a general readership. Bees can help us not only bridge the natural-to-managed divide but also straddle another deep division in North American society, rich versus poor. I was struck with how easily bees took me through diverse social and economic strata, from exclusive high-end hotels to comfortable middle-class neighborhoods to the most extreme poverty and social chaos. By cutting across class and income, interest in bees is a great equalizer. Bee enthusiasts are united by a passion for maintaining ecologically healthy habitats, an interest in protecting the agricultural benefits bees provide through pollination, a fascination for the behavior of all bees, whether wild or managed, and respect for the hard work bees put into producing the honey and wax that beekeepers harvest. Bees also help resolve another conundrum for urban dwellers, the sense of isolation and lack of community that often afflicts cities. Bees connect residents to their neighbors, to other bee enthusiasts, and to the growing movement of urban gardeners and environmentalists. Common interests like bees build microcommunities that transform urban loneliness into that sense of belonging so fundamental to human happiness. That’s the great lesson we can learn from urban bees. By pollinating flowers, bees literally connect one generation of plants to the next and guarantee the continuity of a healthy urban ecology. We, too, need to consider ourselves as connectors, part of a larger chain that passes on values and a sense of belonging to each other and to the generations to come. Bees have a way of doing that, reminding us that it’s only together with nature that we can guarantee our own prosperity and survival even in humanity’s largest hive, the city.